Sydney turned on perfect autumnal weather this weekend. We had gorgeous clear blue skies and warm days with a hint of a chill in the wind. 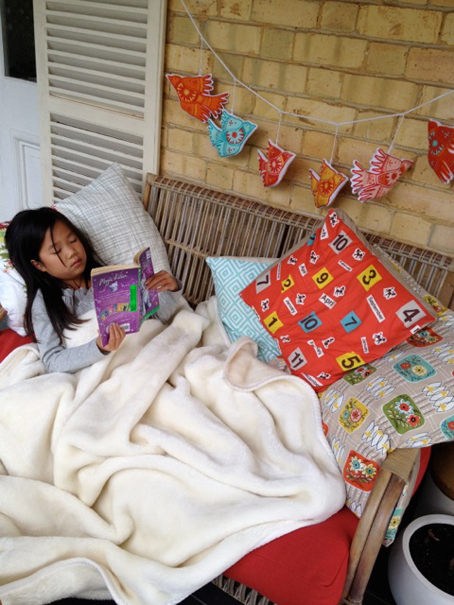 After a busy weekend, this afternoon Roxy and I settled in on our verandah with lots of comfy cushions under a big fluffy throw and had some quiet reading time. Perfect. How was your weekend?